An engineer from Birmingham has successfully received over £2,000 in damages after he contracted salmonella food poisoning at the five-star ClubHotel RIU Bambu in the Dominican Republic. Michael Williams turned to industry leaders Your Holiday Claims for specialist legal advice after severe stomach cramps and diarrhoea not only marred his stay at the 740 room Bavaro complex but also led to a considerable period of recovery on his return to the UK. The Birmingham holidaymaker also states that âvery foul smellsâ were emanating from around the pool bar and it became obvious that the pools were not cleaned regularly as the water was visibly murky. Michael describes food hygiene practices at the resort in similarly negative terms. He remains incredulous that undercooked, lukewarm foods would be continually reheated and served on âdirty,â chipped plates. He also expresses amazement that âno effort was made to keep birds away from the food,â despite the vast majority of dishes presenting as uncovered. Three days before he was due to fly home, Michael began to experience excruciating stomach cramps and diarrhoea. Despite self-medicating with over the counter medicines, Michael was to continue to suffer from repeat illness symptoms for the remainder of his time in the Dominican Republic and was forced to endure a particularly stressful and uncomfortable flight home. Once back in the UK, Michael remained plagued by illness symptoms and was unable to return to his job as an engineer for a number of days. GP tests revealed that the cause he was sufferingÂ salmonella food poisoning. This knowledge was little comfort to the stricken holidaymaker however, as Michael only returned to his pre-holiday state of health in early June 2015 â over a month since he was first struck by sickness. âAs a result of the illness, I feel that I have missed out on special occasions with friends and family,â he states. âPerhaps, most upsettingly, I was unable to enjoy my new grandson,â he adds. 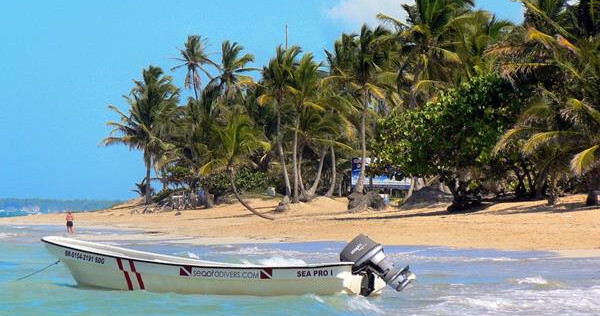 Undeterred, the Birmingham engineer contacted the specialist solicitors at Your Holiday Claims and resolved to purse a claim for food poisoning in the Dominican Republic. Travel law expert, Sue Robinson, handled Michaels case on a no win no fee basis. With Sues help, Michael received £2,135 in compensation. Commenting on the case Sue said: âIllness and poor hygiene standards have no place within a package holiday. I am so glad that I was able to assist Mr Williams following his salmonella stricken stay at ClubHotel RIU Bambu. âUnfortunately, ClubHotel RIU Bambu continues to be a regular feature in our news articles, with holidaymakers from summer 2016 yet again claiming to have contracted food poisoning at this resort. With over 50 years experience in travel law and an unrivalled claim success rate, Your Holiday Claims have the expertise and background knowledge to ensure that you receive the compensation you deserve in a quick, hassle free and risk-free claim. To find out how we can help you, call 0330 100 2851 now.